Complete Streets: Implementation Costs provides background information on the costs of building a Complete Street. Despite a common misconception that Complete Streets cost more to build than incomplete streets, they can often cost the same or less than those that are traditionally planned. In part, this is because communities that adopt Complete Streets policies are making long-term investments in the overall health of their community. 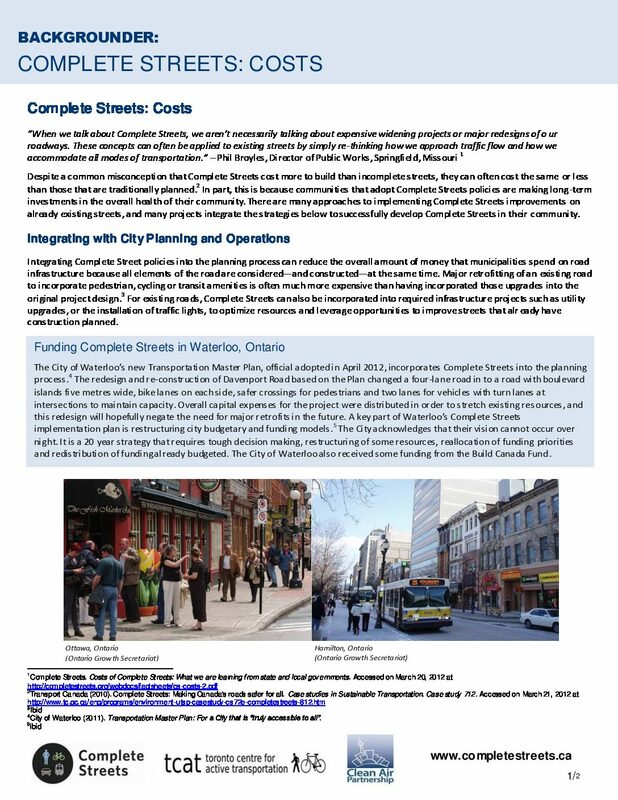 There are many approaches to implementing Complete Streets improvements on already existing streets, and many projects integrate the strategies in this document to successfully develop Complete Streets in their community.